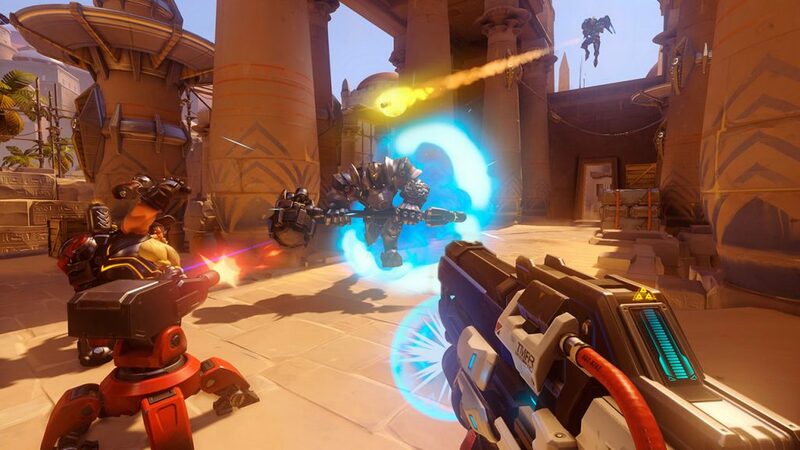 Overwatch is a new shooter that was released in 2016 and quickly became the top shooter on multiple platforms. It does away with the traditional shooter gameplay and introduces unique new features and abilities. It’s a fast-paced flashy shooter that mixes MOBA elements with the shooter gameplay. In this game, you are part of a 5-man team just like MOBAs and you must balance your team with different roles. Each team can have healers, tanks, and assassins to balance things out and gain an edge over the enemies. Overwatch is definitely one of the most colorful and lively shooters out there for PC right now and it’s definitely a must play. Destiny is a whole new franchise created by the same developers who made Halo. It carries a few similar element as the Halo series but adds a lot of unique features and gameplay elements to stand out. Destiny 2 is the latest release in the series and brings a lot of new features to the game. 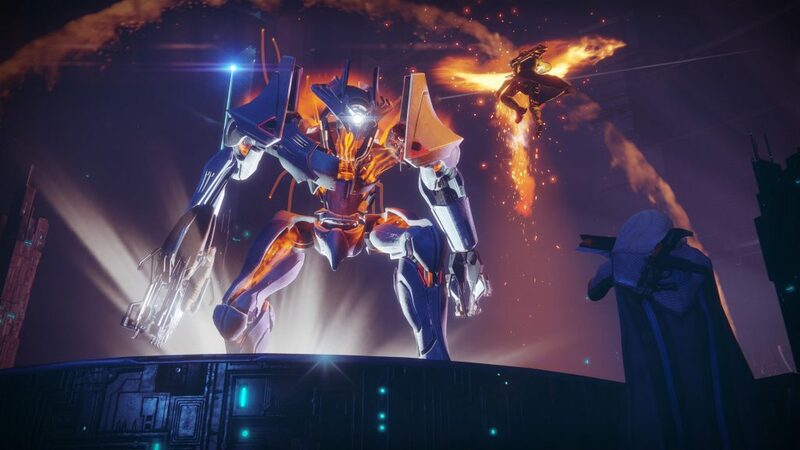 Destiny 2 even beat its predecessor in popularity and gained praise from gamers around the world. Destiny 2 is set in a distant future where colonies have settled all around the galaxy. The game includes amazing shooter gameplay mixed with some of the best RPG elements making it a unique experience for gamers who love RPGs and shooters. 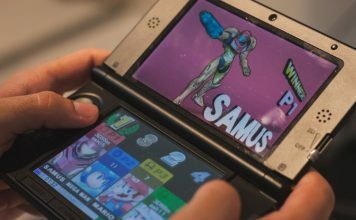 The multiplayer modes let you go head-to-head against other teams in different types of battles. If you are looking for a great shooter with a lot of repetitive value then Destiny 2 is the game for you. 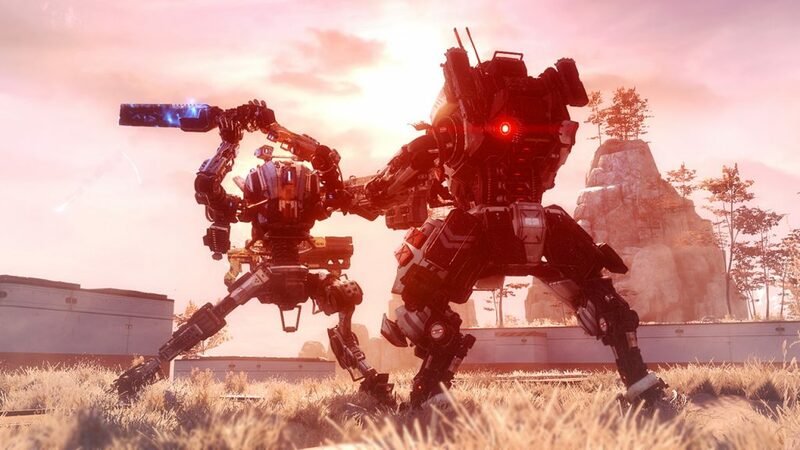 Titanfall 2 is the latest release in the series and the best thing about this sequel is that it’s available on multiple platforms instead of just being an exclusive for one platform like its predecessor. Titanfall 2 fills all the voids that were left by the first game. First of all, it introduces a single-player campaign that was lacking in the first game and most gamers complained about it. The campaign is pretty exciting and challenging to keep you hooked for a long time. Apart from that, the multiplayer mode is still one of the best features of the game where you can wreak havoc with your titans and outmaneuver your enemies in aerial combat. Titanfall 2 is one of the best arena shooters of the current generation and provides an immense amount of fun and exciting gameplay. If you are looking for a fast-paced shooter then Titanfall 2 is the game for you. 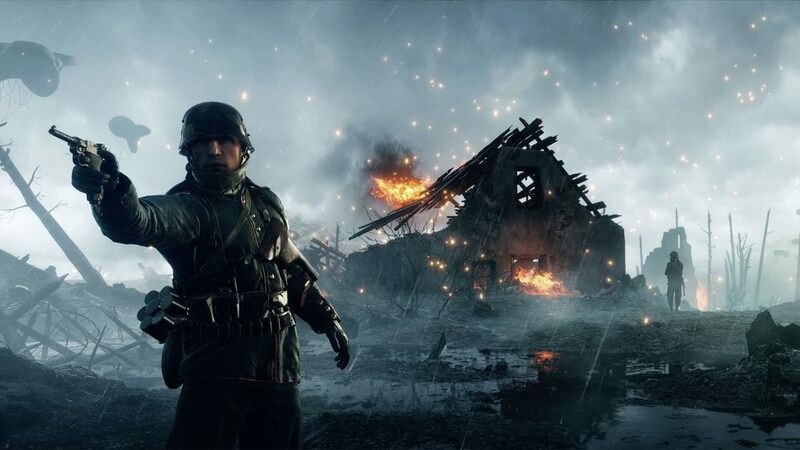 Battlefield One is definitely one of the most popular shooters of 2018. Just the initial teaser trailer received around million likes on YouTube which hyped up the game’s launch. Fortunately, Battlefield One didn’t disappoint with its release and brought a completely new and unique Battlefield experience. This game takes you back to the First World War where you will experience the gore and violence on the battlefield. You get to look at the war through the eyes of soldiers during the campaign mode. The story mode lets you play through five war stories each with its own hero. Apart from that, Battlefield One offers one of the best and most exciting multiplayer modes. You get to ride horses, use old-school weapons, and fly jets available during first World War. Get in on the action against other people from around the world and help your team clutch that victory. 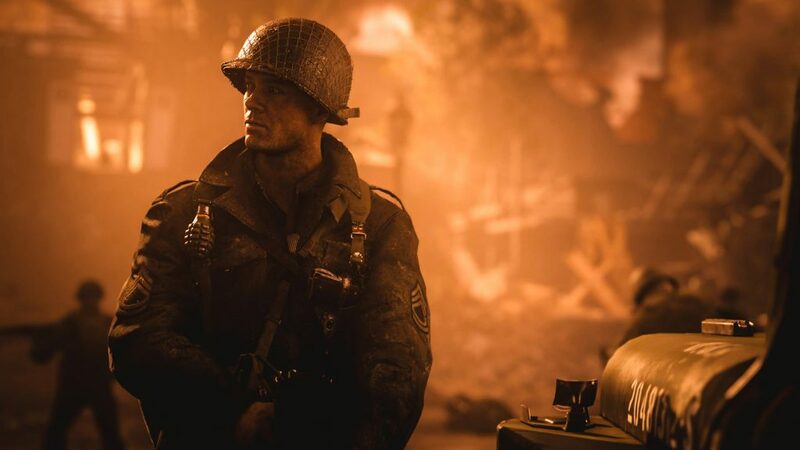 It was only a matter of time before Call of Duty focused on the Second World War because their arch-rivals, Battlefield had already made a game about the First World War. Well, Call of Duty: World War II is actually a great game that lets you experience the most ferocious World War II in all its bloody glory. The campaign mode lets you go back in time and relive the events of this tragic war and experience everything through the eyes of the soldiers trapped on the battlefield. On the other hand, if you are actually into the multiplayer side of Call of Duty then you won’t be disappointed because finally CoD does away with all the advanced warfare shenanigans and sticks to the basics with old school weapons and equipment. Take on other players in an all-out war and experience the real Call of Duty in all its glory. Wolfenstein II: The New Colossus is the all new entry in the series and it’s one of the most unique shooters you will ever play. This is the kind of shooter that you have always wanted, but never actually got it. 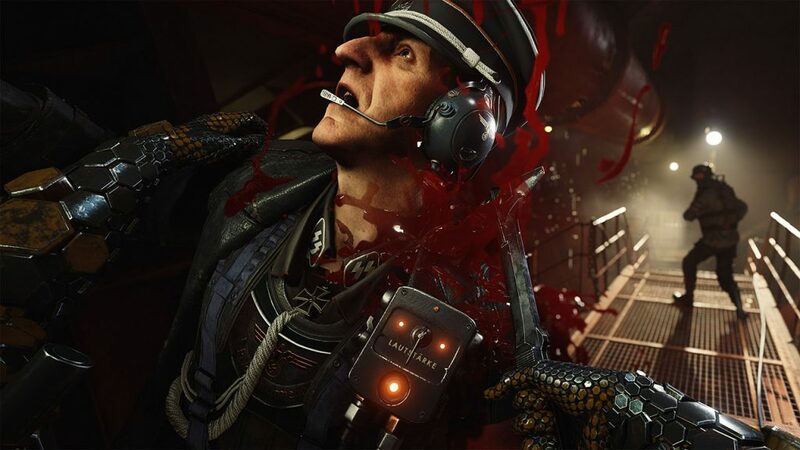 However, you can now enjoy the amazing gameplay, intriguing storyline, and plenty of bloody action in the new Wolfenstein game. 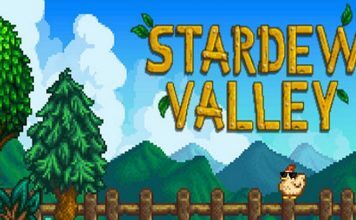 This game shows you how to actually tell a story while making the gameplay exciting and entertaining. In this game, your mission is to defeat the evil forces of KKK and Nazis, cut them, shoot them, or make them explode, it all depends on you. The game is really violent and gory in nature. However, all the gore and blood adds to the overall experience and makes it immensely fun to play. If you are looking for a well laid out shooter with an interesting story then try this one out. Star War: Battlefront II is the latest release in the series and continues the hype created by its predecessor. The launch was a bit shaky for the game, but not because it’s a bad game instead everyone was pissed off at EA for locking main game content behind a paywall and microtransactions. This led to an angry gamer outcry and quickly EA had to remove these paywalls. However, apart from all that, Battlefront II is still a great game that lets you experience the Star Wars universe from up close. You can join either side of the force and destroy your enemies. 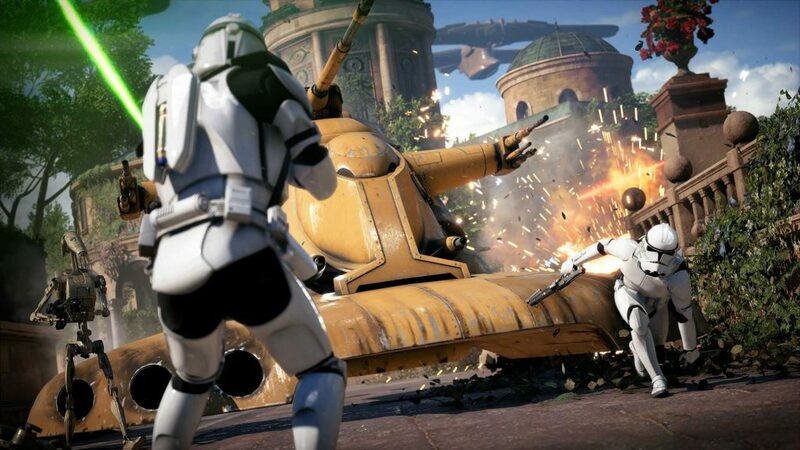 The campaign is great, but the real fun happens in multiplayer mode where you can experience thrilling combat alongside your favorite Star Wars characters. 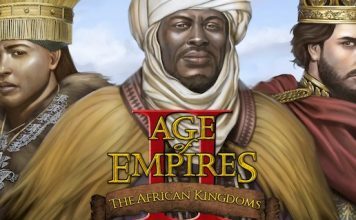 Take on anyone from around the world in this exciting game and defeat the enemies of your side of the force in battle. Prey is a masterpiece when it comes to Sci-Fi shooters out there. It offers a great gameplay experience that’s probably unmatched by any other shooter out there. 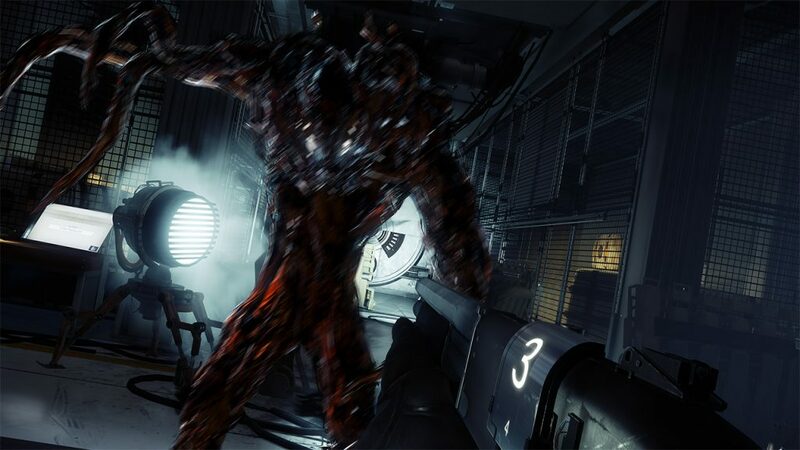 Prey gives you an explosive shooter experience along with the perfect blend of some RPG elements to keep you hooked. The storyline in the single-player mode will keep you in for a long time. The RPG elements ensure that you keep playing all the side-quests as well as the main missions to progress and improve your overall gameplay experience. If you want some serious RPG elements in your shooter and prefer a solid storyline then Prey is the perfect game for you. Lawbreakers is a direct rival to Overwatch because it offers similar fast-paced action, but with an added flair that defies physics and lets you perform flashy aerial moves while mowing down your enemies. 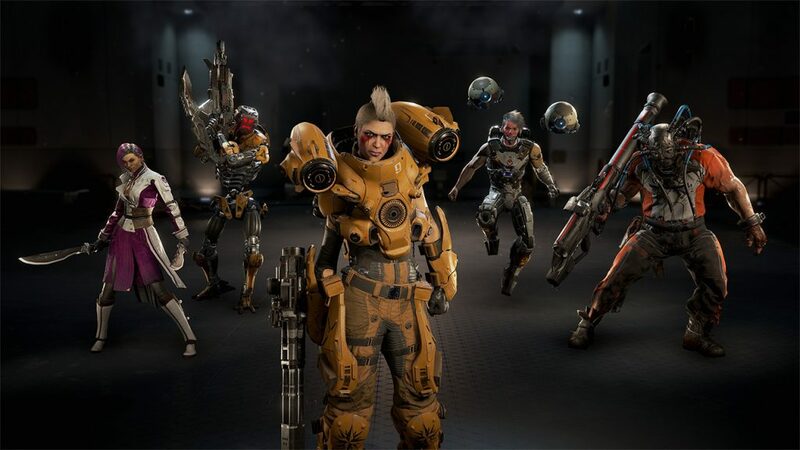 Lawbreakers is an arena shooter where you’re either on the side of the Law or the breakers. The game is all about performing complex aerial maneuvers while pinpointing your targets and shooting their heads off. It’s as fun as it sounds because you can rain death from any angle that you want. A great multiplayer mode will let you go on a shooting spree against players from around the world in an all out battle. If you are fed up with traditional shooters then you will find Lawbreakers quite refreshing. Borderlands 2 is not just your traditional shooter instead it’s a humor-filled clown fiesta where everything goes. The game emphasizes on loot so much that you could probably call it an MMORPG and you won’t be wrong. Borderlands 2 brings all the unique and funny features of the first game and wraps them into more polished game. The game gives you weird yet exciting weapons that are outright hilarious. From sword-shooting guns to pew-pew sounding pistols, you get to enjoy everything in this humor filled shooter. 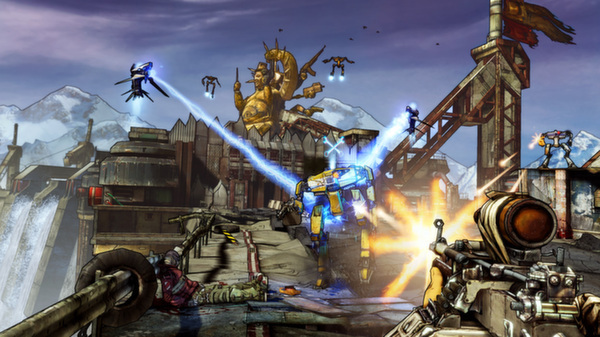 If you have always wanted to enjoy a light-hearted shooter with more focus on gathering weapons then Borderlands 2 is the game for you. 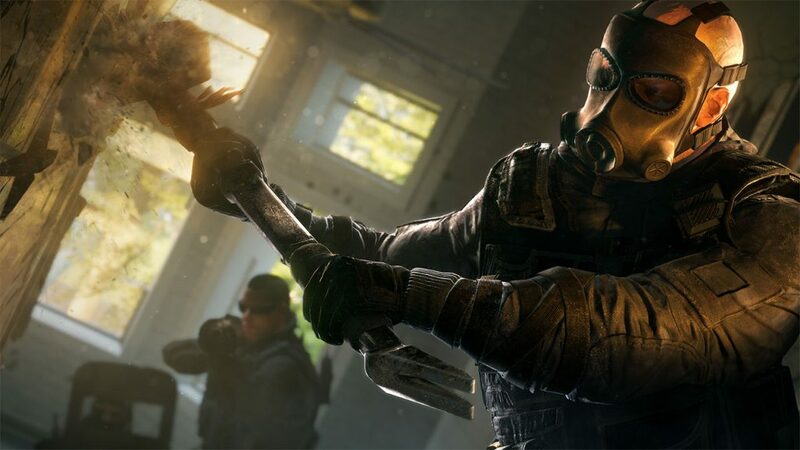 Tom Clancy’s Rainbow Six Siege is all about the close quarter encounter between terrorists and counter-terrorist organizations. This game is all about solid strategy and tactics to outsmart and outplay your opponents. In each match, the stakes run high because of both sides. The terrorists must devise a plan to keep the CT out and blow them away, while the Counter-Terrorists must come up with a strategy to infiltrate and neutralize the terrorists. Use any means necessary to take out your enemies. The most important part of the game is your group. If you have a great team that’s coherent then you will always out play your enemies. The most popular shooter on PC and probably the most popular shooter in the entire world. Counter Strike: Global Offensive is the sequel to the famous Counter Strike Source and it has become one of the biggest names in shooters and eSports as well. Players from around the world compete for large prizes in this amazing shooter. 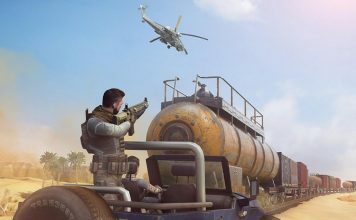 Counter Strike: GO is still one of the most basic shooters out there that relies on sheer skill and tactics. You don’t have abilities to fly or glide, you don’t get any fancy weapons, and there are no vehicles. You must outplay your opponents in every way to win in this game. If you love demanding and challenging shooters then Counter Strike: GO is the game for you. Far Cry 4 is definitely one of the most stunning and beautiful shooters out there for PCs. Heck, it’s one of the most aesthetically pleasing shooters on any platform. 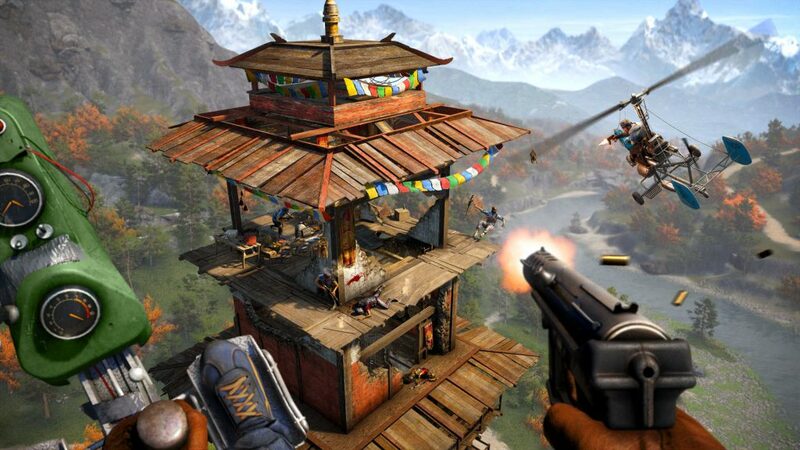 With vibrant wild regions, gorgeous graphics, and lots of violence, Far Cry 4 is a great shooter that will keep you absorbed for a long time. You are stuck in a remote part of Himalayas where a cruel King rules with violence. You must find shelter in this wild region, acquire weapons, and figure a way to defeat the King and get the hell out of there. The game throws all kinds of obstacles at the player from wild animals to evil men trying to tear you apart. Fight your way through all these obstacles and emerge victorious in this exciting game. 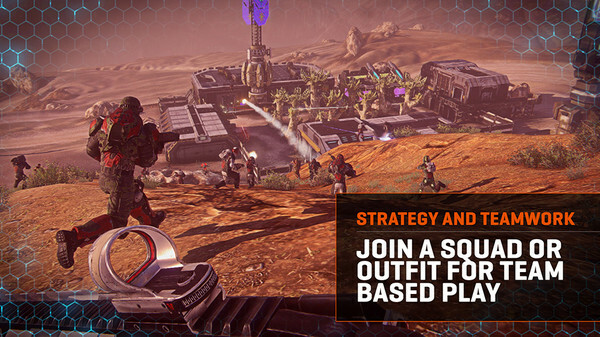 PlanetSide 2 ups the stakes for all other shooters out there and brings a plethora of new features to the genre. In this exciting game, you get to be part of any one of the three available factions. Everything that you do in this game actually affects the success of your faction, so always be careful with your decisions. You get to enjoy this faction warfare on a mass scale. From buying vehicles to killing enemies and taking their points, everything must be strategized and planned otherwise you will end up losing your control points. The diversity of combat ensures that you will never be bored because the game will keep changing and shuffling the way you battle with each new match. If you want a more unique shooter experience on a large scale then PlanetSide is the game for you. If you ever wondered where Overwatch came from then you will be surprised to know that Overwatch is pretty much inspired by Team Fortress 2 and the original Team Fortress. This game actually introduced a different class system and how to balance a team with a diverse selection of characters. 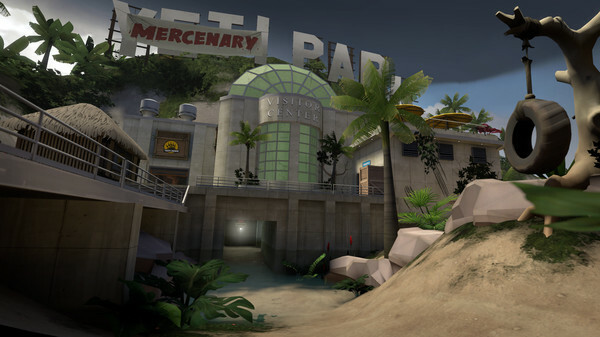 Stunning graphics and a fast-paced shooter gameplay make Team Fortress 2 one of the best shooters on PC. The game modes are also quite similar to Overwatch where you move a payload or control a point, etc. 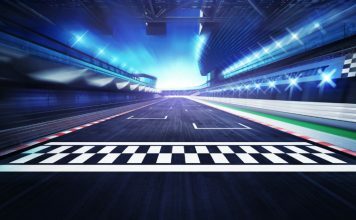 The game offers adrenaline-pumping fast action mixed with heavy strategy where each class from the game offers its input. If you want a real fun and exciting multiplayer shooter on PC then Team Fortress is a must try and best of all, it’s free. Well, if you have a gaming PC then you must try out at least one of the above-mentioned shooters. These are some of the most fun yet competitive shooters available on PC. You can enjoy them casually or just go pro and become the top player, it’s all up to you. Also, feel free to mention your favorite shooters for PC in the comments below.